If you’re the writer in your family, you’ve no doubt been called upon to help out with typical tasks: Can you look at the cover letter for my résumé? Can you help me write this letter to my insurance company? Can you look at my college entrance essay? As a writer, you’ve got a unique skill set, so you’re in a great position to give some one-of-a-kind gifts. With a little bit of ingenuity, and some self-publishing smarts, you can offer your family personalized, self-published gift books that they will truly love for years to come. Here are some ideas! Your memoir/collection of memories. One of the most special gifts you can give your family is your own memoir. Share your thoughts of growing up, your remembrances of loved ones, and your family traditions. Your gift will be cherished by generations of your family. A family recipe cookbook. Ask family members to contribute their favorite heirloom recipes, and then compile their contributions into a book. If you’re handy with a camera, you can even include pictures. Don’t let your family’s favorite recipes disappear over time; ensure that your children (and their children) can whip up the traditional family favorites just like Mom or Dad used to make. A history of your family tree. If you have a talent for genealogy, share it by creating a self-published book that features your family history. Along with typical documentation, like census photos and birth records, you could also include the results of DNA testing—your relatives may be surprised to learn they’re part Scottish, Japanese, or who knows! You might consider prefacing your book with an essay about your experiences while doing the research. A photo collection. People love classic photo books, which are easy to compile and print on sites like Snapfish and Shutterfly. Our life this year. Start a new tradition by making your own “A Year in the Life” book, complete with family photos and with little stories that accompany them. Write using your best skills to evoke the moment, capture the sense through words, and impart emotion. A picture may be worth a thousand words, but words give context and depth to pictures! A history of your house. Houses are full of special stories, those we make ourselves and the stories that existed before we moved in. There are many sites on the Web that can teach you how to learn about the history of your house, including its architecture, prior residents, and neighborhood. DIY children’s books. Why not publish your own children’s alphabet book using your favorite family photos (i.e., G is for Grandma, L is for Lisa, etc.)? Giving the gift of a self-published book to your family members is a priceless gesture of generosity that will be remembered for years to come. If you have any questions for our self-publishing experts here at Self-Publishing Relief, post them in our comments section! Question: Have you ever given a self-published book as a gift? 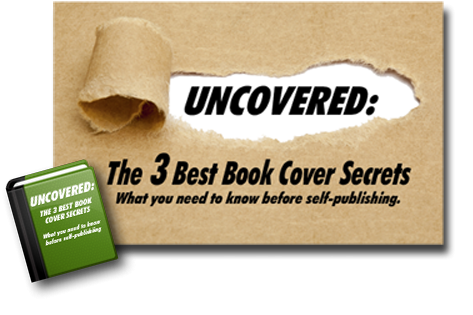 ← Should You Offer A Print Version Of Your Self-Published Book?